SEMA Approved racking inspections conducted nationwide. We offer a range of products designed to increase the storage capacity of your factory or warehouse. ABC Racking are the only supplier of used racking systems that have an in-house, fully qualified, SEMA Approved Inspector on site. ABC Racking are the largest stockist and suppliers of used storage systems in the UK. We always have 1000's of bays of quality used storage systems available from stock. 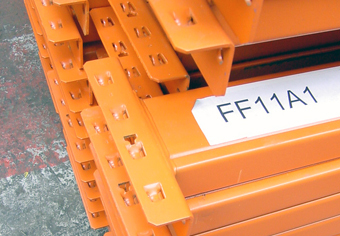 ABC Racking are always looking to buy large parcels of pallet racking. No job too large. 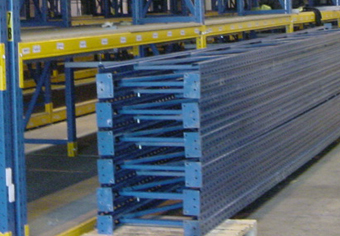 Pallet racking is the backbone of the storage industry and our specialty. We hold the largest stocks of used second hand pallet racking and shelving in the UK. Operating from a 100,000sq ft warehouse we can supply and purchase used pallet racking in quantities that our competitors physically can not handle. This allows us to supply large projects and organisations with the competitive edge that can only be achieved by dealing in bulk. All our used pallet racking is stored indoors and each item is refurbished by our skilled technicians to remove any damaged components before being dispatched. We are so confident in our product that we actively encourage our customers to visit us and view the racking before they purchase. 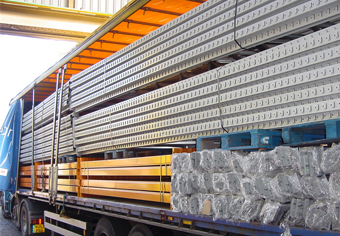 Deliver the racking to your door - UK or abroad. A qualified SEIRS installer will install the racking to SEMA guidelines.